The part of the palace that had been the former Greyhound Inn building was sold on 6th May 1819 to John Holland, Thomas Holland and Sarah Rickard for £1010. The above extract from a book published on 11th July 1829 clearly shows the link back to the original Greyhound Inn. The will being referred to is that of Richard Pickes, actually dated July 1577. 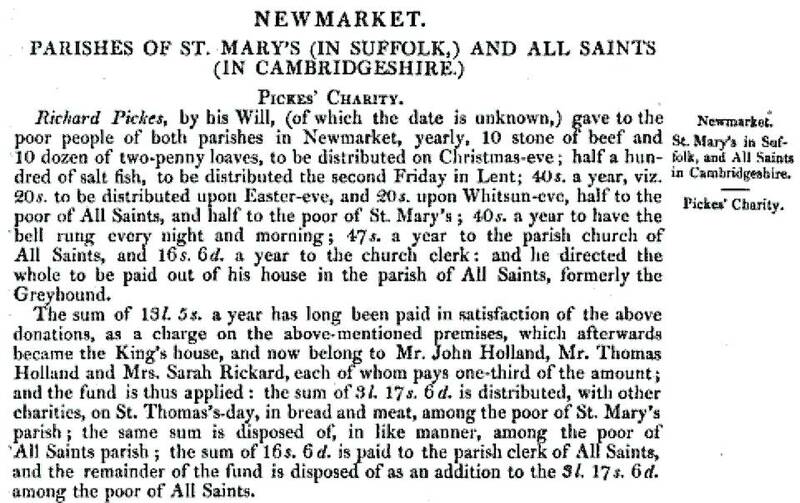 According to his will Richard seems to have owned quite a bit of land around Newmarket and living at this location instructed that whoever lived here subsequently should gift to the town as he instructed. Sarah Rickard set up her business as a linen draper next door in No.55-59 High Street, the present HSBC bank. Thomas & John Holland were saddlers and started their saddlers in this building and can be seen here in the trade directories from 1830 onwards. John Holland died in 1837, aged 59, and was buried in All Saints churchyard on 27th July 1837. 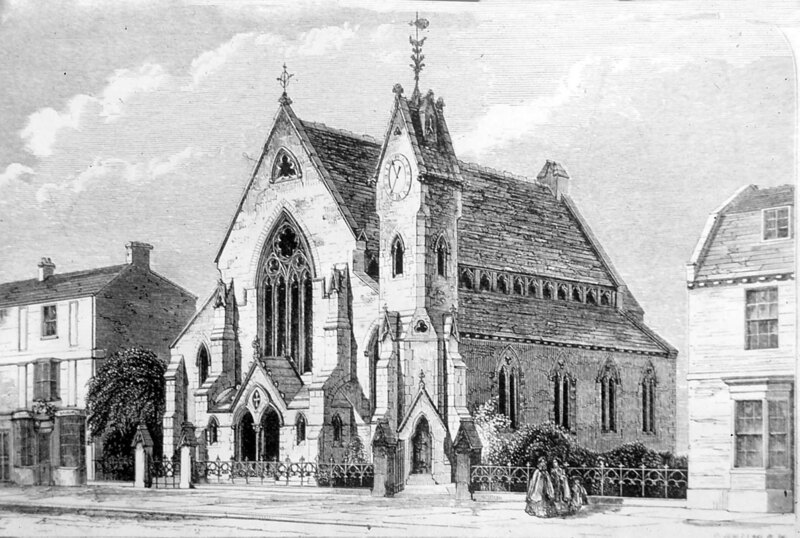 Thomas Holland died in 1842, aged 64, and was also buried in All Saints on 8th July 1842. It's not known how the next occupier; Horatio Holland, is related to John and Thomas, as there's no baptism record for him and he wasn't living with Thomas in the 1841 census. Presumably they were his father and uncle, though which is which is unknown. Regardless of the relationship, Horatio continued the saddlers business and can be seen living here in the 1851 census with his wife Sarah (née Carter). She wasn't from Newmarket, but had been born in Walsingham, Norfolk in around 1818. Horatio died in 1869 and was all buried in All Saints on 3rd November 1869, aged 59. Sarah's brother was the very successful trainer Thomas 'Genius' Carter, born in Peckleton, Leicestershire, and he can be seen staying here with Sarah, along with his wife and daughters on the 1871 census. Thomas Carter became trainer to the Duke of Grafton at Newmarket, probably in succession to Robert Robson (details about Robson are shown on the page for Kingston House). Baron Mayer Amschel de Rothschild purchased Palace House in 1857. Both his uncle; James Mayer de Rothschild (1792-1868), and his brother; Sir Anthony Nathan de Rothschild, 1st Baronet (1810-1876), lived for many years in France. Thomas Carter was invited to France by Lord Henry Seymour (1805-1859 - second son of the Marquis of Hertford), and trained for both the Rothschilds, spending most of his working life there. Thomas was considered by many as the 'Father of the French Turf'. He died on 25th September 1879 in Chantilly, Oise, Picardie, France. 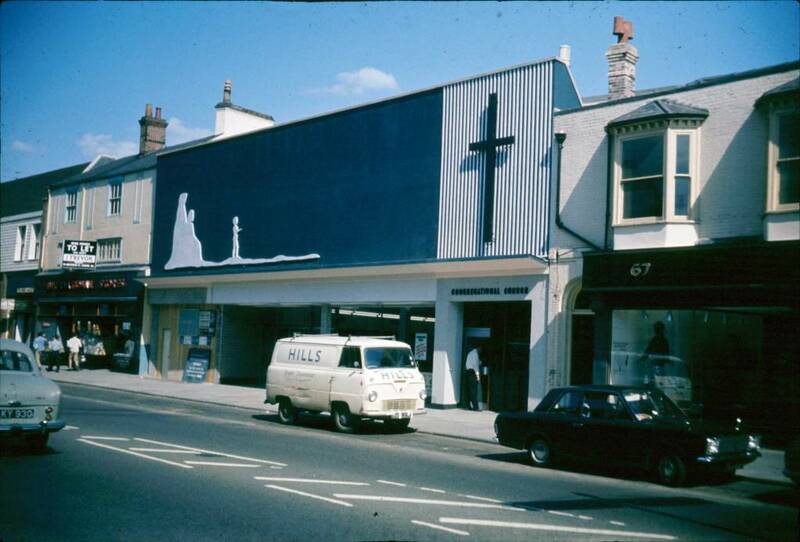 The picture below is of the Congregational Church in the High Street, but it clearly shows Holland House on the left, which has changed very little over the years - the second floor window looks almost exactly the same today, only the shop front and first floor window have changed. At this time in 1864 both Horatio and Sarah would have been living here. It's curious that over the door there seems to be a Royal Warrant, but no records have been found showing that Horatio had a warrant from Victoria. There is another possibilty (un-confirmed) that the warrant was in some way connected with Sarah's brother's French links or maybe in some way associated with the French Rothschilds. The photo above shows Holland House on the right, at a time when Sarah Holland was probably still living in the rooms above the shop. The 'warrant' can still be seen above the door. Sarah died in 1896, aged 78 and was buried in All Saints on 19th August 1896. Things get a bit complicated in Holland House around this time as in the 1891 Newmarket Street Directory the saddlers Boyce & Rogers are shown here - but they still continued with their main shop at No.114 High Street. Then on the 1897 map of Charles II's former palace it shows a Mr. Browning as owning this piece of land - William Browning was a Turf Commission Agent, living in Granby Street ... details about the work he had done on the building are shown in the Building Changes section below. According to the Newmarket street market map of 1904 Crisswell's had opened a cycle shop in Holland House - this shop seems to have been the pre-cursor to Ernest's Crisswell's Garage - No.170-176 High Street. The market map also shows a Mr. Crisswell at Camden House - No.69-73 High Street, this presumably was William with his family, and most probably still Ernest at that time. John Frederick Drackett-Case was the owner of the International Stores, originally moving from Lowestoft and setting up his shop in No.76 High Street on the other side of the road. As shown below alterations were being made for the International Tea Stores on Holland House (No.61 High Street) in 1924, but in the 1926 Street Directory of Newmarket the business is still listed at No.76. High Street. By the 1936 Newmarket Directory the International Stores was in its final location here, and stayed until the old Congregational Church was demolished in 1967, when it moved next door and became a supermarket in 1968, underneath the new Congregational Church. 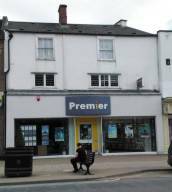 Proposal	Planning Application - change of use from a travel agency (A1 use) to a Starbucks mixed class coffee shop (A1/A3 use). If you refer to the details for No. 82 High Street (the former Carlton), this was previously called the Greyhound inn. 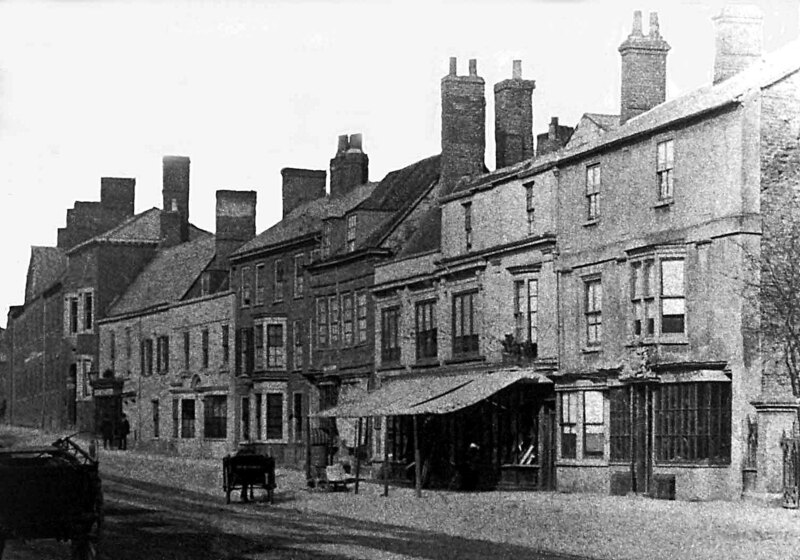 King Charles II bought the original Greyhound Inn in 1667, the purpose of his purchases in Newmarket was to construct his new palace in the space these buildings occupied, hence the location of this Inn was actually on this side of the High Street at that time. Annotated 18 c. plans of the palace show that this was between present day No.s 53 and this property (HSBC Bank and the Yorkshire Building Society being the other parts). Further details about the original location of the palace on the High Street in Newmarket can be found on this page - 'Charles II's Palace'. 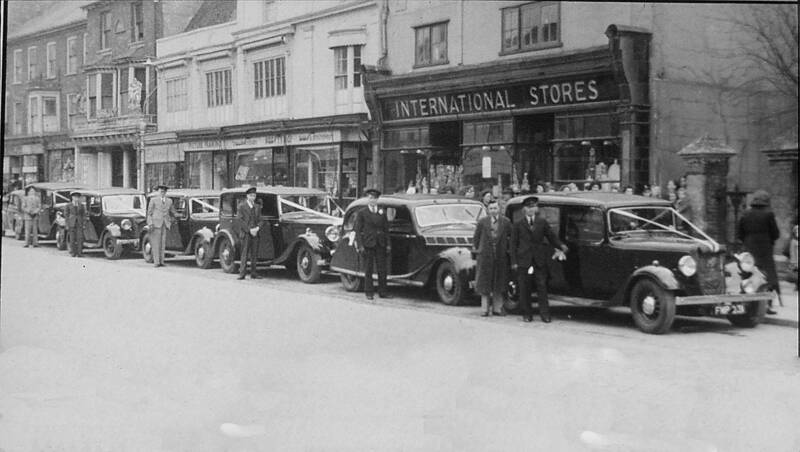 Many thanks to Peter Norman for his details about the Newmarket Street Market Map 1904 and the photo 'Chilcotts taxis wedding cars c. 1947'. Photo 'International Stores c.1960' by kind permission of the Newmarket Journal and the Newmarket Memories Facebook page. In this photo you can see part of J.Ward & Sons department store on the left and the Congregational Church on the right. 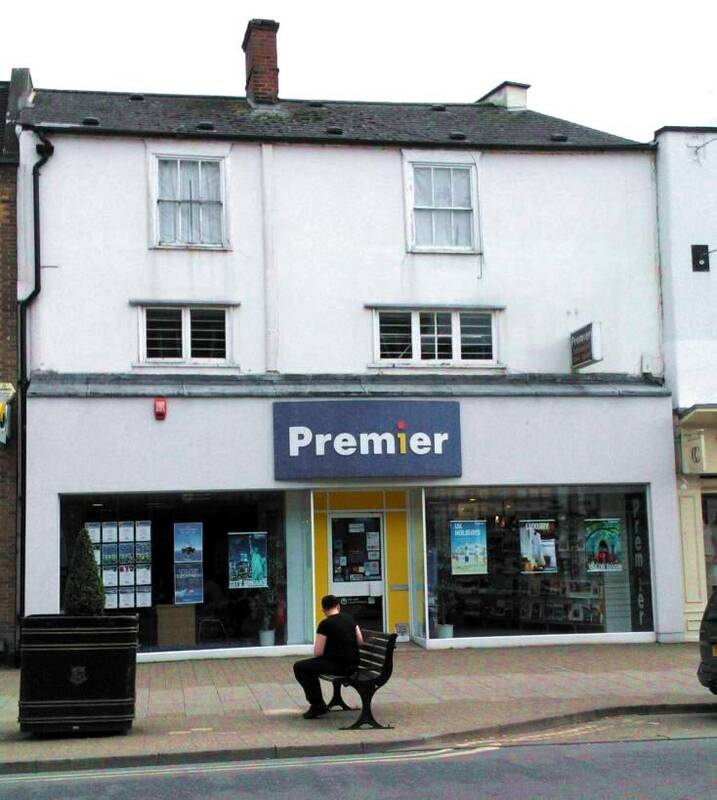 Although there's about 55 years between the photos, the upper storey windows look much the same between the old photo of the International Stores and the recent photo of Premier Travel (which has now closed).